Never before has pregnancy offered such a wonderful opportunity to be your truly fashionable and stylish self! Pregnancy is not a time to hide your baby bump under shapeless and unflattering garments that could be worn by a tradesperson or your grandmother. To the contrary, pregnancy is a time to enhance your own style and dress in a way that showcases the curves or your maternal body. As celebrities such as Jessica Alba, Nicole Richie and Kate Hudson prove, maternity wear can be fashionable and stylish and, pregnancy does not require you to dress as though you are overweight. Famous women, together with an increasing number of non-famous women are proving that your personal style can be enhanced during your pregnancy; forget the idea that you need to abandon looks and pieces that you love in order to dress so that your baby bump is concealed beneath shapeless garments. Regardless of whether you are into hip, trendy pieces or classic tailored clothing, your personal sense of style can be maintained and, more importantly, celebrated throughout your pregnancy! 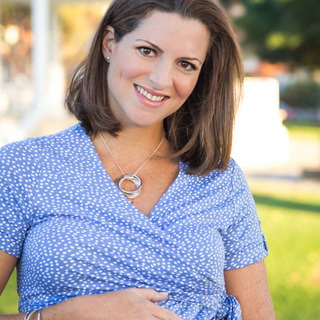 Here we look at some of the most popular styles and the options available to pregnant women. The great news is that some designers have developed maternity versions of some of their most sought after styles of jeans! Jeans tend to be a staple in the wardrobe of the majority of pregnant women and for good reason – they are versatile, can be dressed up or down, are comfortable and created to accommodate your growing belly. Many women also wear non-maternity jeans with an elasticised band that covers the fact that their jeans are undone and provides some support for their stomach. A huge range of non-designer label jeans are available and look great on many women. T-shirts that feature a great print tend to look terrific on many pregnant women. Such t-shirts can be figure hugging or more loose fitting. Many women who are devotees of a hip and trendy style look great in tunic dresses and dresses that feature floral prints or other designs. Perfect for summer or complimented by a jacket and leggings or boots, such dresses can also see you on-style during the cooler months. If you are into classic and tailored pieces, your look can be maintained if you wear suits and pants that have been designed and tailored to flatter and promote the comfort of a pregnant female body. Shirring down the sides of garments and belly panels can accommodate your growing bump while promoting your professional style. Remember too that great, well cut jackets and accessories, such as scarves, can enhance your professional style. Perennially popular with celebrities such as Nicole Richie, the Bohemian style lends itself very well to pregnancy. Long, maxi style dresses (available in many fantastic patterns and prints) look great and are comfortable and accommodating of your changing waist line. And, the best news -- maxi dresses can often be picked up inexpensively! Empire line tops teamed with jeans look amazing on pregnant women, particularly when they are enhanced by high fashion sandals, thongs or boots. Don’t forget to make the most of your boho style with bold pieces of jewellery and statement scarves and bandanas. If active and sporty is your style, you have a great range of maternity wear from which to select. In fact, it is often unnecessary to wear designated maternity wear as fabrics such as lycra are designed to stretch and support bodies of all shapes and sizes. Maternity swimwear is an important investment and whether or not your pregnancy is showing in the summer months, swimming can be a wonderfully soothing and enjoyable activity for pregnant women. Swimwear for pregnant women has come a long way in recent years with a vast range of styles, colours and features now available to enhance the appearance and comfort of women expecting babies. Pregnancy is no longer a time to forego your style and fashion sense. Much maternity wear is now designed to be stylish, contemporary, flattering and fashionable and, pieces are available to compliment a variety of styles. Make the most of your pregnancy by choosing pieces that enhance the style that you adhere to when not pregnant and enjoy the opportunity to use this style to showcase your growing belly. With Kate Middleton’s maternity leave looming (reportedly one month before the royal baby is due) she continues to shine with her maternity style. While her official public appearances may be coming to an end, we will be keeping an eager eye out for her casual attire and how she spends her final days before becoming a royal mummy.